Preserved 19th century architecture frames contemporary cultural experiences. 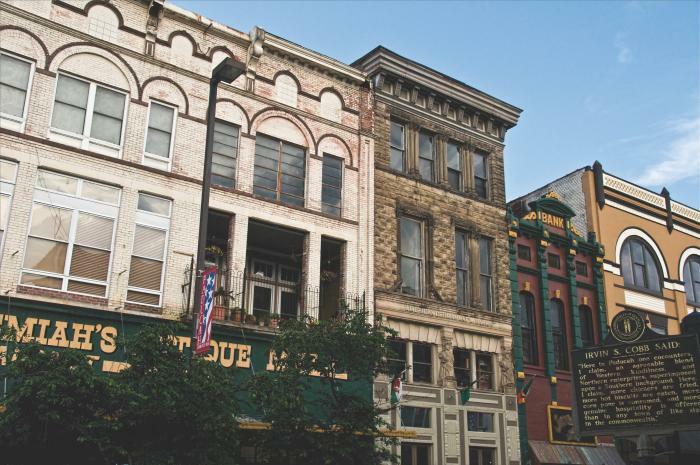 A certified Kentucky Cultural District with twenty square blocks listed on the National Register of Historic Places, Historic Downtown is incredibly walkable with creativity at every turn. The National Quilt Museum is worth a stop for view of a world-class fiber artistry. One block away, the Yeiser Art Center gallery rotates exhibits of inventive visual artwork by creators from around the region and the globe, including Fantastic Fibers and Art Through the Lens. Continue on to art galleries and collectives to see and shop one-of-a-kind goods crafted in Paducah. The Art Guild of Paducah, Bricolage Art Collective and PAPA Gallery feature a diverse community of working artists that live in the Lower Town Arts District and throughout the region. Though most well-known for quilting and visual arts, Paducah&apos;s performing arts scene is something to see. The largest performance venue, the Carson Center, plays host to orchestra-in-residence, Paducah Symphony Orchestra, along with national entertainers and touring Broadway shows. Nearby, Market House Theatre offers a more intimate theater experience. This award-winning community theatre&apos;s campus and programming transcend the stage with murder mysteries, ghost tours and family-friendly events throughout the year. MHT&apos;s Black Box Theatre hosts monthly Paducah Improv comedy shows, the foundation of a burgeoning scene of local comics. With rich regional traditions in Bluegrass and Americana, Paducah&apos;s rhythm of ongoing live music is steady. Nightlife venues including Paducah Beer Werks, JP&apos;s Bar & Grill and Silent Brigade Distillery spotlight local musicians and welcome traveling bands each weekend. The paramount public art experience, Paducah "Wall to Wall" Murals by Robert Dafford span the floodwall on Water Street. This self-guided tour introduces our river city story of which discovery continues at local museums including River Discovery Center, William Clark Market House Museum and Lloyd Tilghman House & Civil War Museum, all within walking distance. Throughout downtown from Maiden Alley to MAKE Paducah, you&apos;ll spot murals by local students and global artists. Even the Paducah McCracken County Convention & Expo Center offers views of the Quilt City USA® Murals Project. 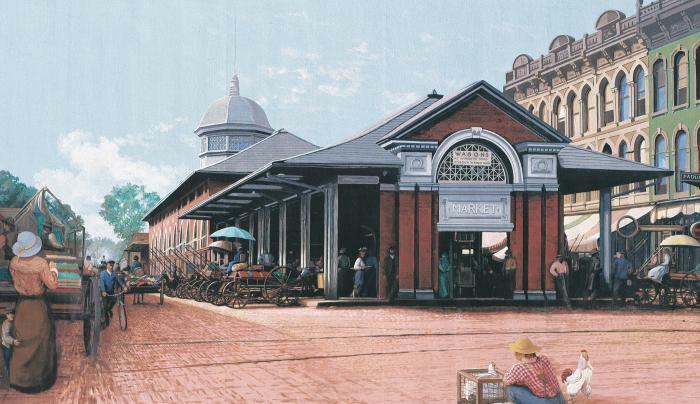 The landmark at the heart of it all, the 1905 Market House was formerly an open-air venue for meat and produce vendors. 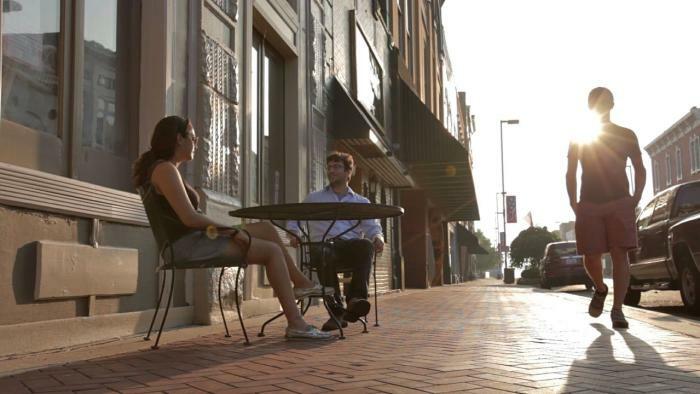 Though local producers are now featured at the Paducah Farmer&apos;s Market two blocks away, Market House Square carries forward this history as home to ten restaurants, coffee shops and dessert boutiques. Find distinctive dining with artful ambiance and entrees to match at Max&apos;s Brick Oven, Grill 211 and Cynthia&apos;s California Tuscan Ristorante, serving Kentucky Proud flavors for more than 25 years. 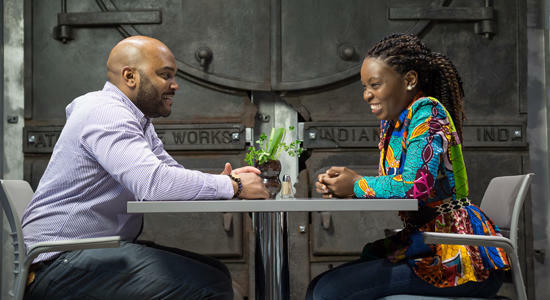 Freight House is gaining acclaim far and wide as the farm-to-table restaurant of Top Chef: Kentucky star, Sara Bradley. "Eat Art" at Kirchhoff&apos;s Bakery & Deli, a fifth-generation owned bakery with deli sandwiches, soups and salads. Just a few blocks away from Market House Square, Gold Rush Cafe is highly rated for breakfast (served all day), but lunch specials and innovative takes on traditional entrees make this place a favorite at all hours of the day. Set to reopen on Kentucky Avenue in early 2019, Branch Out Foods is one of the newest additions to Historic Downtown and features gluten free and plant-based lunch options. When you&apos;re craving a sweet treat or caffeine infusion, head back to Market House Square where Craving the Curls rolls out ice cream flavors like "Peachy Keen" and "Coffee Addict" and Etcetera Squared brews specialty coffee drinks and bubble teas. On Broadway, Confleur is becoming a favorite brunch stop known for delicious pastries and treats and Highwater Social Bar is the new spot for handcrafted cocktails and charcuterie boards. Art and restaurants exist in abundance as do independent local boutiques like Paducah Cigar Company and F.A.C.E. Makeup Artistry that elevate shopping to an experience. There are many ways to tour and discover all that Historic Downtown has to offer. In line with historic surroundings, trolley and carriage rides are the quintessential modes of transport in this part of Paducah. John&apos;s Pass Carriage Service departs from carriage corner and can be scheduled by appointment year-round. The free trolley run by Paducah Area Transit System moves visitors through Historic Downtown, the Lower Town Arts District and Uppertown neighborhoods during the spring and summer months. Stroll brick sidewalks and tree-lined streets. Boasting more historical markers per capita than any other Kentucky town, you&apos;ll find dozens in the downtown core that allow you to stand on the footsteps of William Clark, Alben Barkley and other notable figures from Paducah&apos;s past. Self-guided tours like the Cell Phone Walking Tour and Lewis & Clark Eastern Legacy introduce you to the stories behind the facades and local landmarks. Move at your own pace by cycle on land or stand up paddle board (SUP) on water with rentals from Hooper&apos;s Outdoor Center. Throughout Historic Downtown and beyond, you&apos;ll find parks and bike racks that make active exploration easy. Book a stay at unique lodging properties in the downtown region. The 1857 Hotel, a 10-room boutique property with on-site bar that blends modern design and historic architecture. 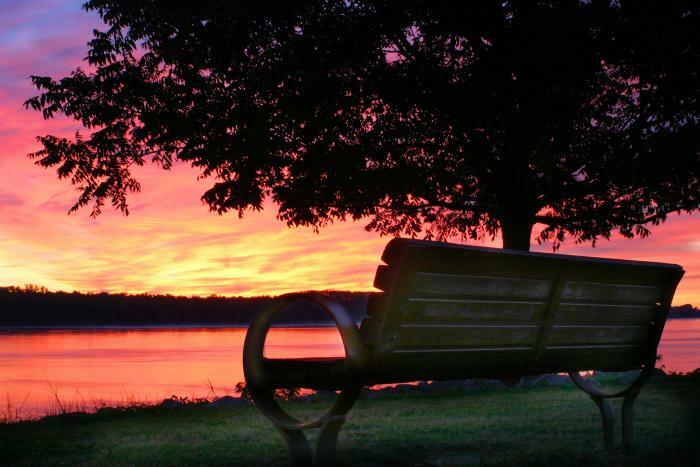 Find postcard perfect views overlooking the Ohio at the Holiday Inn Paducah Riverfront, a full-service property. Preview the full listing of hotels in the downtown area and throughout all regions of Paducah.